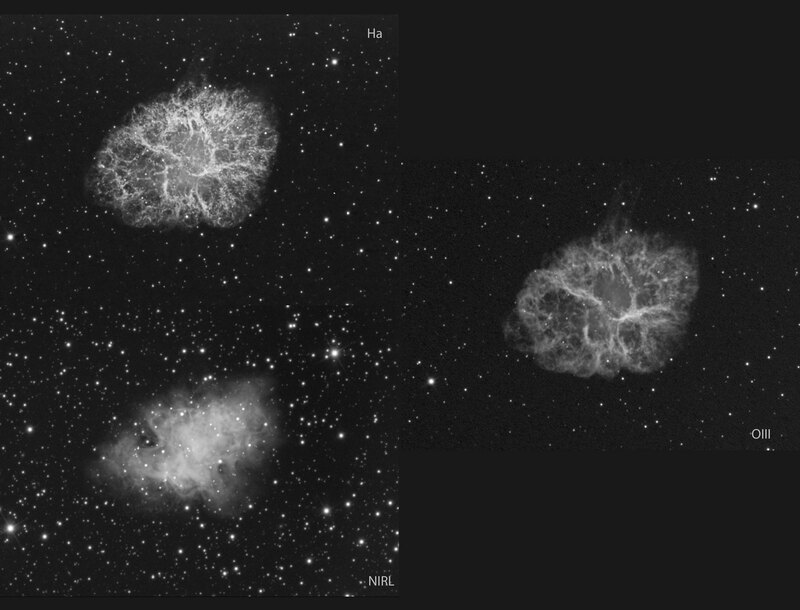 M1, The Crab Nebula supernova remnant. Ha, Near Infrared and OIII data. Image acquisition dates: January 28-30, 2012, January 4, 2013. Guiding/adaptive optics: STL6303E with AO-L/ST402 MMOAG. Telescope: RCOS24, F7.89, 4812mm FL. Total exposure time: 7 hours Ha, 2 hours NIRL, 4 hours OIII. Click above for two different mapped color presentations.